The Church tower at Canewdon dates from the first quarter of the 15th century. It is made from Kentish ragstone which is mortared through the entire thickness of the walls, some of which are seven feet deep. This sturdy design was necessary to take the weight of the bells which were first fitted at the top of the tower at about the same time. This style of building is unusually strong and rarely found in other church towers. One bell was recorded as weighing three hundredweight and the total, including handbells, must have been over 75 cwt. Records show that later bells were even heavier. In addition, the weight of bell fittings and floors for the two bell chambers was considerable. For hundreds of years the tower formed part of the chain of observation and warning towers stretching from the north sea coast, across to the Thames valley and on to London which were used to signal threats of invasion right up to the last century. In the second quarter of the 16th century, Henry VIII appropriated many church bells along with other valuable items “for use at the king's pleasure” as part of his reformation of the Medieval church. However, although smaller items such as silver and gold chalises and dishes were taken, it would clearly be some time before the tower bells could have been removed and disposed of. 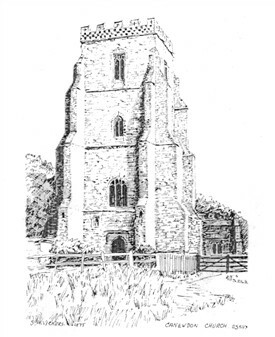 In fact, at Canewdon as in many Essex churches, the process was not completed at the time of the king's death in 1552. The bells were not safe, though, as it appears the largest one was taken during the reign of Mary Tudor. The earliest bells had been of a longer narrow profile but the new bells installed in the 17th and 18th century were much more of the design we expect nowadays. They were often engraved with the date of casting and the name of the bell maker. For example, the third bell which weighs seven and a half hundredweight, is inscribed: Miles Graye made me 1634. Graye had a foundery in Colchester and was well known nationwide. 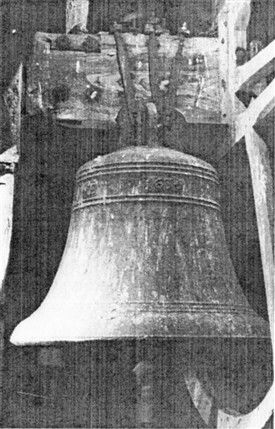 A twelve hundredweight tenor bell was cast by John Waylett in 1707. The inscription on this bell reads: RICHARD EDWARDS WITHR IENNENS CW IW 1707. Edwards and Jennings were church wardens (CW) and IW stands for John Waylet. It was common to write J as I in the early 18th century. Sixty years later the then vicar, Rev. 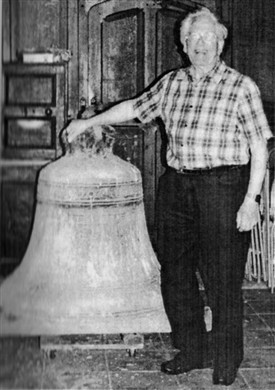 Norman Kelly, asked parishoner Ken Smith to form a bell restoration committee. Plans were made for welding and re-tuning and augmenting the five old cracked bells and possibly making use of some redundent bells from other churches in the area. However, the tower was found to be in need of much remedial work as it was in poor condition and needed many new stone blocks and repointing. The Kent quarry from which the original stone had come was reopened to provide the necessary materials. This was outside any possible funding at the time but the bell chamber, bells and framework were cleaned of several inches of guano left by the pigeons which had entered through the broken tower louvres. This was probably the first cleaning since the tower had been used in the Second World War as an observation post. One member of the bell project committee was church warden John Mitchell. Mr Mitchell was a lifelong resident of Canewdon and when he passed away in 2005 few people in the village realised how much they owed to this well liked local character. John Mitchell's bequest provided the funds needed to repair the old bells, purchase new ones, repair and strengthen the bell chambers and fit new frames and eight steel headstocks among other work which was necessary to restore the tower to make it safe for the 21st century and many more to come. In fact, the 1420s windlass which would have been built in the upper section of the tower during its construction to lift the heavy blocks of stone and later raise and lower the bells as required over the succeding centuries was found to be still in position. Although in a delicate condition it has been cleaned and is still in place and turns freely on its bearings. 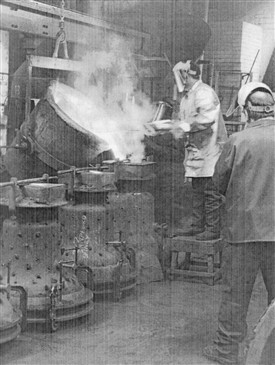 The casting of ten new bells at the Whitechapel bell foundry, over 200 years after the last bell for Canewdon had been cast there, began in April 2008. 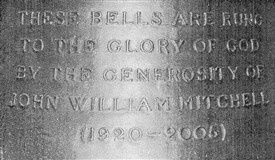 Made of an alloy of copper and tin and cast at a precise temperature the new bells were all cast by Nigel Taylor using skills and experience passed down over 400 years of bellfounding at Whitechapel. Scaffolding was erected inside the tower to allow removal of the old cracked bells so they could be repaired by specialised welders. Sadly, Ken Smith who had overseen all the official discussions and planning since the inception of this complicated project, suddenly passed away in summer 2008. The five old repaired bells were rehung in their original 1420 frames. Ten new headstocks, wheels and other mechanisms were installed in a second bell chamber below the old bells and the new bells were hung there. 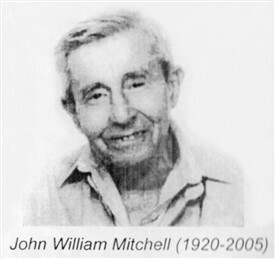 Although the building work was not finished the new bells were rung for the first time on 22 February, 2009, which would have been John Mitchell's 89th birthday. A service of thanksgiving and dedication was held on the 11th July, 2009. 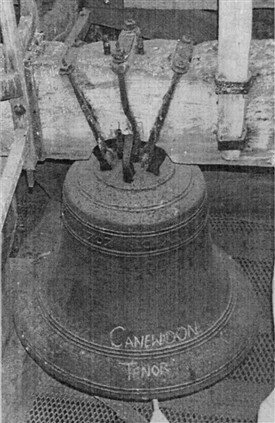 After 450 years, Canewdon has a ring of bells equal to its grand tower thanks to the, “generous benefactor”, John William Mitchell and the hard work and perseverence of many, led by Ken Smith. To conclude, here is a short YouTube video of a ringing of all 10 of the Canewden bells by the Bishopstoke ringers in 2014. This page was added by Sue Horncastle on 23/06/2015.